Almost half of British adults say they feel stressed every day – that’s according to the Mental Health Foundation. It is generally well known that stress can contribute to health problems such as depression and heart disease. What is less well known – but imperative to address for emotional and physical well-being – is that it can also damage your teeth. This is what happens – one of the more common signs of stress is tooth grinding but there’s a good chance you don’t even know you’re doing it, as it often happens in your sleep. However, its effects cannot be underestimated, often resulting in physical symptoms such as tooth sensitivity, gum problems, difficulty chewing, headaches and neck ache, as well as the possibility of ultimately losing teeth, which can have a devastating emotional effect. • Wearing flat and looking shiny and pitted. • Learning to brush effectively yet gently with a relatively soft toothbrush and a toothpaste that is low in abrasivity (ask your dentist for advice on this if you’re not sure). In addition, if you’re suffering from sensitivity (which should be diagnosed by a dentist to ensure there is no underlying condition that needs treatment), using a fluoridated mouthrinse every day at a different time to toothbrushing is an effective first line of defence. A desensitising toothpaste used when brushing or applied directly onto a sensitive tooth can also be helpful to calm any sensitivity. Commenting on this growing problem, Professor Andrew Eder, an expert in tooth wear and Clinical Director of the London Tooth Wear Centre®, said: ‘If you’re worried that your teeth may be wearing, tell your dentist. They are, after all, there to help and will be able to make a diagnosis, provide guidance or refer you, if appropriate. ‘Possible treatment options include the provision of a suitable mouthguard to be worn at night to relieve pressure on the teeth and jaw, prescribing muscle relaxants or recommending care from a physiotherapist or osteopath with specialist knowledge of the muscles involved. Can a bit of stress be healthy? My previous post about stress was posted here on 28 January. This time, I’m attacking (more accurately, sneaking up on) stress from a different angle. And I’m starting by going back in time. Way, way back to pre-CQC. It seems prehistoric man suffered stress, would you believe? And guess what – we know it from their teeth! In 2010, George Armelagos, an anthropologist from Emory University in the USA, discovered enamel defects in teeth dating back one million years indicating that, ‘During prehistory, the stresses of infectious disease, poor nutrition and psychological trauma were likely extreme.’ This stress reduced life expectancy – remains from Dickson Mounds, Illinois, showed that individuals with teeth marked by early life stress lived 15.4 years less than those without the defects. So is stress bad then? Not necessarily; read on. According to the Mental Health Foundation: ‘Some stress can be positive. Research shows that a moderate level of stress makes us perform better. It also makes us more alert and can help us perform better in situations such as job interviews or public speaking. Stressful situations can also be exhilarating and some people actually thrive on the excitement that comes with dangerous sports or other high-risk activities.’ The Foundation does point out that stress is only healthy if it is short-lived. DASS is not a diagnostic tool. If you are feeling anxious, depressed or stressed, you should see your GP – even if you get low DASS scores. However, if you wish to get some idea of how stressed you are and so gauge whether it could be considered healthy, go to https://www.cesphn.org.au/images/mental_health/Frequently_Used/Outcome_Tools/Dass21.pdf for DASS 21 (remember to double your scores for the full DASS severity ratings. 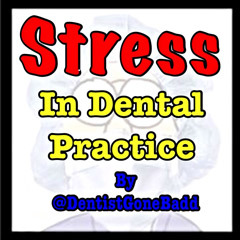 In my previous post, I urged you to stop putting stress on others – particularly colleagues and staff in your practice. Now we see that some stress is normal and may well be beneficial. So does that contradict what I wrote before? Not at all. Yes, some stress is normal and healthy but so very few of us lead completely stress-free lives that we need added stress at work. Relationships, health, family obligations, household maintenance, cars, money worries all cause stress. Many of us are also good at getting stressed about things that haven’t even happened yet! So who are you to add to the stress of your colleagues or staff and maybe move them from normal to mild, moderate or severe on DASS? 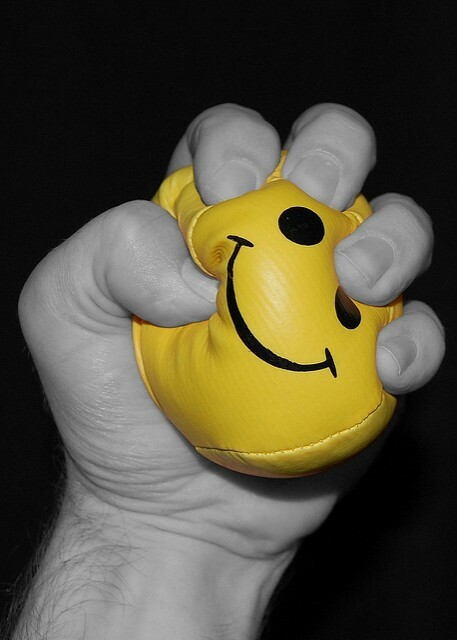 Stress as a management tool? Excuse me? Think twice (or more) before you decided to ‘push’ members of your team to make a greater effort. It is far more effective to motivate people to work more effectively or efficiently. People work best through their lunch hour when they don’t hold a grudge at you demanding it but because they genuinely want to get the patient records up to date. As a manager you should be familiar with the theory of psychological type as introduced by Jung and the Myers-Briggs Type Indicator – so you know how to get the best out of each member of your staff. This is a topic covered on my courses – come and find out. Image credit -Bottled_Void under CC licence - not modified. It won’t be news to you that stress can damage the dentition in the form of attrition, but did you know that statistics indicate that one in three workers experience post-holiday blues? It makes sense that this can then exacerbate bruxism. 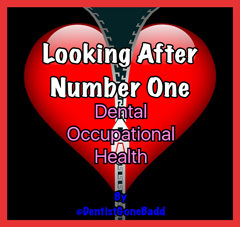 • Learning to brush effectively yet gently with a relatively soft toothbrush and a toothpaste low in abrasivity. Further, prescribing muscle relaxants and the use of a suitable mouthguard, such as a Michigan splint, may prove useful. Such splints help to protect the teeth against bruxism and reduce TMJ pain by encouraging the patient’s mandible to assume the most comfortable and reproducible position. The overall aim with such a guard is to protect against any damage that may be caused by a habitual grinding pattern and to break the cyclical habit, if at all possible. In addition, recommending care from a physiotherapist or osteopath with specialist knowledge of the temporomandibular joint (TMJ) might be appropriate to prevent further damage. The London Tooth Wear Centre® offers an evidence-based and comprehensive approach to managing tooth wear.